Delivering a range of cost-effective solutions to suit your organisation’s needs whatever the size or budget; giving you the time to focus on your business rather than your infrastructure. Need somewhere secure and cost effective to host your server and network equipment? With over two decades of internet and data centre services experience, our team is your team. 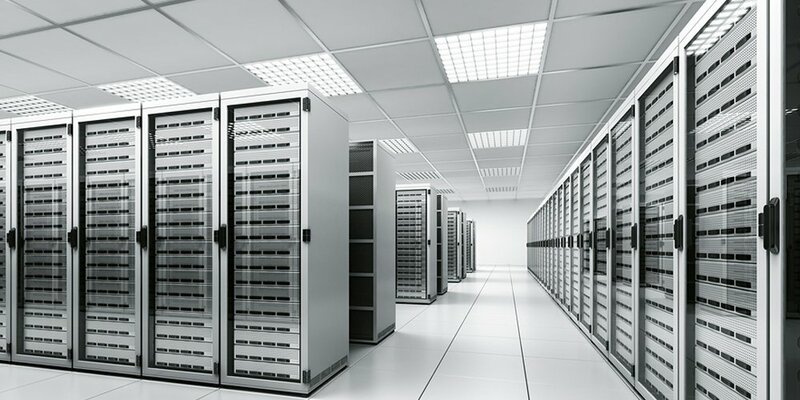 Data centre infrastructure is expansive and includes servers, server operating systems, storage, networking, network security, virtualization applications and just about any computing technology under the sun. When your set-up requires data centre services, it usually doesn’t make financial or operational sense to build your own facility, so you start looking for a company you can trust with your precious equipment and data. You don’t want to use an enormous, faceless organisation because you want a relationship with the people you choose, you want to trust them because they understand how important your kit is to your organisation. You want someone who will ‘get it’ when you are planning your next upgrade or strategic step. That’s why you choose Domaincheck’s Data Centre services. You trust us because we have two decades of internet and hosting experience that we can put straight to work for you and your business. We work as part of your team and are as hands on or off as you require. We provide our customers with access to top class infrastructure of Data Centres so you can take advantage of the benefits that technology bring, giving you the flexibility to react dynamically to your different business requirements; with solutions as small as 1u and one-third of a rack. Colocation – is ideal when building and managing your own hosted set-up. Your equipment will be in state-of-the-art facilities with the latest in security, power and cooling technology. Great care is taken to ensure stable conditions all day, every day with continuous power from dual feeds, generators and UPS systems, redundant cooling infrastructure, cold aisle containment and fire suppression and protection. We can use our supplier independence to source optimum hardware for you. Managed Hosting – We can provide a fully managed infrastructure including servers, SAN devices and Firewalls via the specialised expertise of our highly qualified support team who will manage and monitor your servers 24/7. For more information on our range of cost-effective solutions to suit your business needs, no matter what size or budget, which give you time to focus on your business not your infrastructure. We aim to deliver a range of solutions to suit your business needs now and in the future. Call 0191 261 2252 or email, we are always happy to talk. Since 2001, Domaincheck, part of Zebra Internet Services, has been providing data centre hosting services to a national portfolio of clients. Our solutions include rack space and co-location, server management services, VPS and security services. We’ll listen to you, using our expertise to assess your real requirements and then provide helpful, straightforward advice to make sure you get exactly what you need. You are our priority, and our client-focussed approach ensures that we enjoy a high level of customer retention, with many customers growing with the company since its formation. We keep our finger on the pulse, constantly looking for new developments which we can harness in order to adapt our services to ensure that we’re ahead of the game and able to offer you the best, most suitable technology and advice. Working closely with suppliers ensures that we are able to specify, purchase and supply the right equipment for your needs at the best possible price, offering robust solutions that can grow with your business.